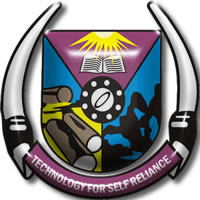 The Federal University of Technology, Akure, FUTA has not scheduled Post-UTME admission screening date for the 2017/2018 academic session. All aspiring students of the school should take note. My9jaedu is using this medium to inform the general public that the Federal University of Technology, Akure (FUTA) has not released any Post UTME timeline or issued any criteria for admission in respect of the 2017/2018 Admission Exercise. Our attention has been drawn to an erroneous information making the rounds, particularly on the social media and internet news blogs, about a purported screening exercise for 2017/2018 admission exercise scheduled to begin on Tuesday August 17, 2017. There is no truth whatsoever in the misleading information. For the avoidance of doubt FUTA is yet to fix a date or publish any schedule for the admission exercise for the 2017/2018 academic session. The information is pure falsehood. Therefore, FUTA dissociates itself from the false information and states that this is the handiwork of fraudsters who want to dupe unwary members of the public. FUTA will notify the public about the screening exercise for admission in due course. Therefore the public is warned against having anything to do with the bogus exercise being championed by fraudsters.